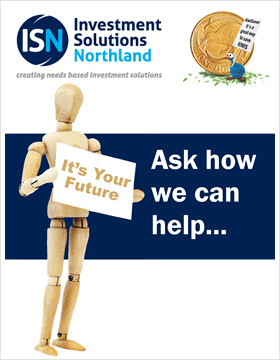 NZ Funds has launched a new pension transfer service with a difference: its nationwide UK pension transfer team are offering to do the transfer advice and processing free of charge, before passing the client back to their adviser to be advised within the context of their usual ongoing advice relationship. “Just over a year ago we identified two problems in the pension transfer market. First, while almost all advisers have clients with international investments in their client base, the process of advising on UK pension transfers is so complicated and tedious, their advisers were often unable to help those clients,” NZ Funds Principal David van Schaardenburg says. With the launch of NZ Funds’ UK Pension Transfer Service, to complement the modern cost-effective Superannuation Scheme it launched a year ago, the manager has overcome both points of pain. Advisers can now pass their client on to one of NZ Funds pension transfer team, who will process the transfer (free of charge) and then pass the client back to the adviser. The adviser can then set their remuneration for advising the clients in the usual way such as evaluating client risk profile, their optimal asset allocation, sustainable savings and withdrawal rates plus navigating changes in clients’ financial objectives or circumstances. Funds transferred from UK pensions are managed through the NZ Funds Managed Superannuation Scheme which now has a strong one-year investment track record. The Growth Strategy delivered a 14.7% return over the last 12 months, and 16.4% since inception as at 31 July 20181. The Scheme also has a choice between adviser directed asset allocation or automated annual lifecycle rebalancing. The lifecycle technology is based on the same proven process used by the NZ Funds KiwiSaver Scheme. “Feedback to date has been very encouraging. In addition to NZ Funds’ seven nationwide offices, a number of independent advisers have already signed up to the service with several dealer groups now undertaking due diligence on our transfer service,” van Schaardenburg says. A recent NZ Herald story on 2 August 2018; “Sneaky life insurance fees catches out Kiwi woman…” highlighted an insidious problem with many Australian Superannuation programs. In Australia, life insurance is often built into the superannuation schemes. You need to opt out to not have it. This type of group insurance has a number of benefits such as lower premiums and in some cases the fact that it will cover pre-existing conditions. However, the insurance coverage will often end when you are no longer an Australian resident. Despite this we’ve found Super providers who have continued to charge clients the insurance premiums even after being advised of member relocation to New Zealand. Through our Australian Super Transfer Service, we have been able to negotiate a refund of premiums, backdated to when the client left Australia. Many New Zealanders (and recent immigrants) put off the decision to transfer. After all, retirement is still years away and the money should snowball until then. Or so the thinking goes. Sadly, when it comes to UK pension transfers the cost of procrastination can be prohibitive. After an initial four year exemption period, returning New Zealanders and immigrants accrue a New Zealand tax liability each year just under 5% of the final pension transfer value. By way of example, a person who puts off transferring for 15 years from return/arrival could lose up to 16%2 of the value of their savings in tax. By educating accountants, lawyers and financial advisers throughout the country on how to transfer cost effectively, and by eliminating these points of pain, we are seeing a rising flow of clients reducing or eliminating costs and taxes that might otherwise have accrued. “It is great to be delivering value to advisers and their clients and getting two sets of positive feedback” van Schaardenburg says. “It really is a case of helping New Zealanders (including the newer ones) to make better financial decisions”. 1 Growth Strategy inception date, 25 January 2017. Returns are post fees, pre-tax. Past performance is no indicator of future performance. 2 Assumes GBP/NZD exchange rate 0.52, the Schedule method as the calculation option, the client has other income over $70,000 in the assessable tax year. David van Schaardenburg is a Principal at NZ Funds. He is also an Authorised Financial Adviser. The opinions expressed in this column are his own and not necessarily that of his employer. His disclosure statements are available on request and free of charge.